2018 was a breakthrough in the history of bilateral relations. Since the beginning of this year, more than 50 meetings have been held at various levels, including four meetings of the intergovernmental commission on trade and economic cooperation. Expanded format negotiations between the delegations of Uzbekistan and Tajikistan have kicked off. The main attention is paid to the development of trade and economic cooperation. In the first half of this year, the volume of mutual trade increased by more than 35 percent compared to the same period in 2017. Trade contracts and agreements worth over $300 million were concluded. "There are still many untapped opportunities within our cooperation. Continuing the work at this pace, we will soon bring the volume of trade to $500 million. 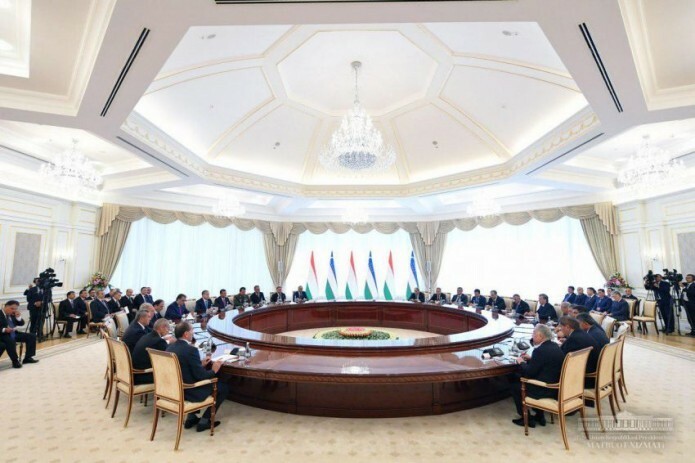 In fact, our potential is at least $1 billion," President Shavkat Mirziyoyev said. The parties reaffirmed their interest in further development of bilateral cooperation.